February 18, 2016 edited February 19, 2016 in Location, Location, Location! I won a cruise to Alaska in August and plan to take all my equipment with me. Any suggestions? 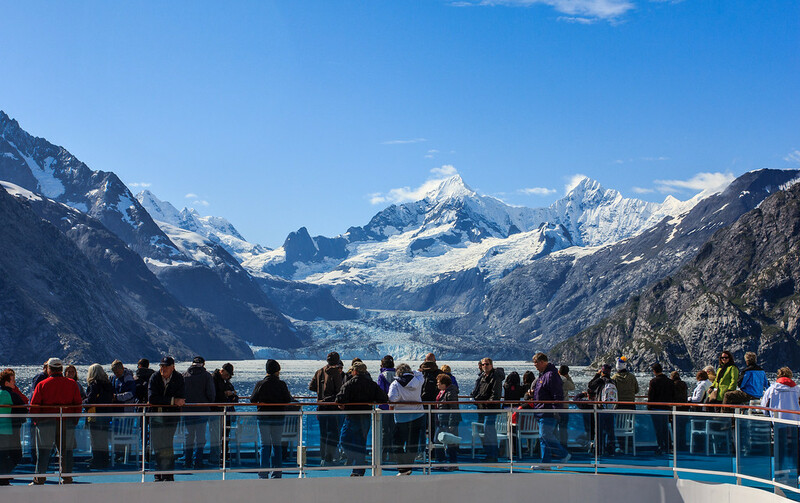 We will be cruising Northbound out of Vancouver and then taking the cruisetour to Denali and Fairbanks. Probably 12 days total. Any must see places up there that I shouldn't miss. We went in August 2011... Vancouver to Whittier via the Inside Passage with all the usual stops/sights - Ketchikan, Juneau, Skagway, Glacier Bay, etc. Then, the train to Denali and back down to Anchorage... our itinerary was weighted to more time at sea than land, though, I wish it had been the reverse - especially wished for more time in Denali. Take as much telephoto reach as you can - I used my 100-400mm constantly when outdoors. Unless your kit is completely weather resistant, bring one of those camera/lens "raincoats" for the inevitable rainy/misty days. 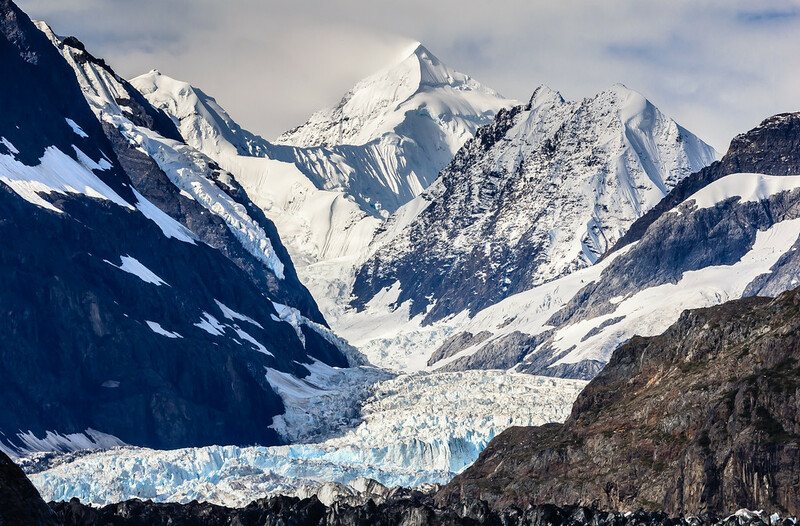 Glacier Bay or one of the other glacier fjords is a must-see... pray for good weather on the day you are there! The centers of the towns were, in our opinion, very "touristy"... we found more to see and enjoy on side-tours - museums, gold mine tour, rafting, wildlife viewing, etc. I was too chicken to go on the flying tours (light aircraft/helicopters), but people who did swear it was worth every penny. Denali N.P. is a destination in itself and it takes a major time commitment to get deep into the park... hope you can see this amazing place! Take a warm coat/hat/mittens... it can still be very chilly - even in August - on-deck, at-sea, just about anywhere, depending on the weather. Pace yourself eating on the Cruise Ship... it's an embarrassment of good food! Hope you have a fantastic journey! Please post pics when you return! 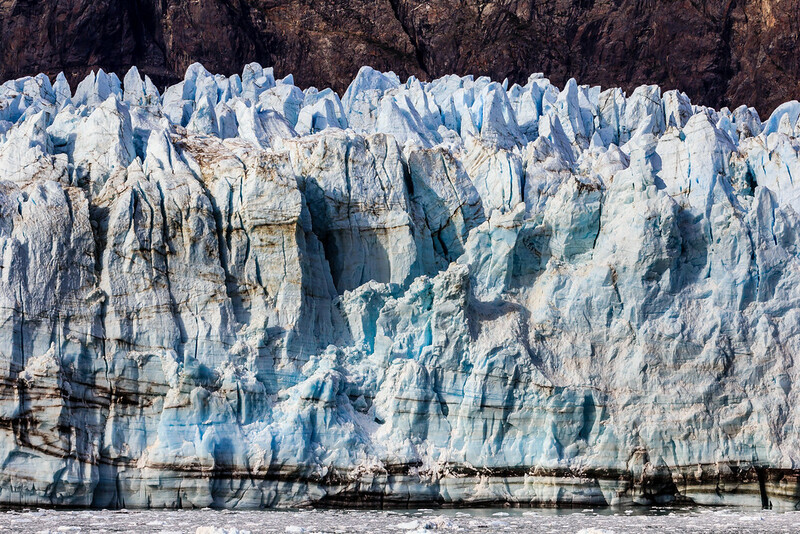 Edit: Here's a couple of shots to illustrate our experience in Glacier Bay... we were blessed with pretty good weather. Our family did a 7-day Alaska cruise in 2006, as part of a 3 week "Western Adventure". In addition to comments already made for long lenses, the temp & humidity between the ship & outdoors can cause some fogging. Be aware of it and plan accordingly, and you'll be fine. Try to acclimate gear to temp at least an hour or so. Some use ziplock bags, too. 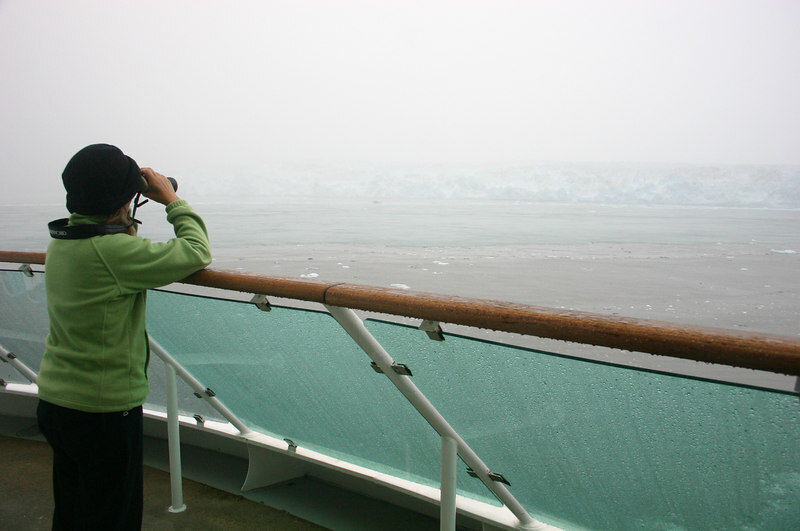 Cross your fingers for clear weather in Glacier Bay. When we were there it was very hazy. 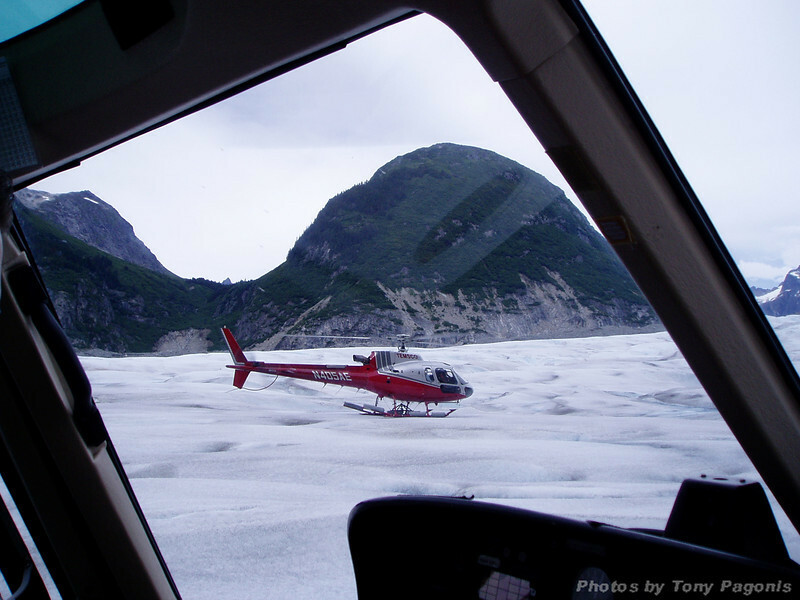 If possible, even though its pricey, consider taking a helicopter trip out to land on some glaciers. We flew out of Juneau, and it was one of the most memorable experiences of our trip. 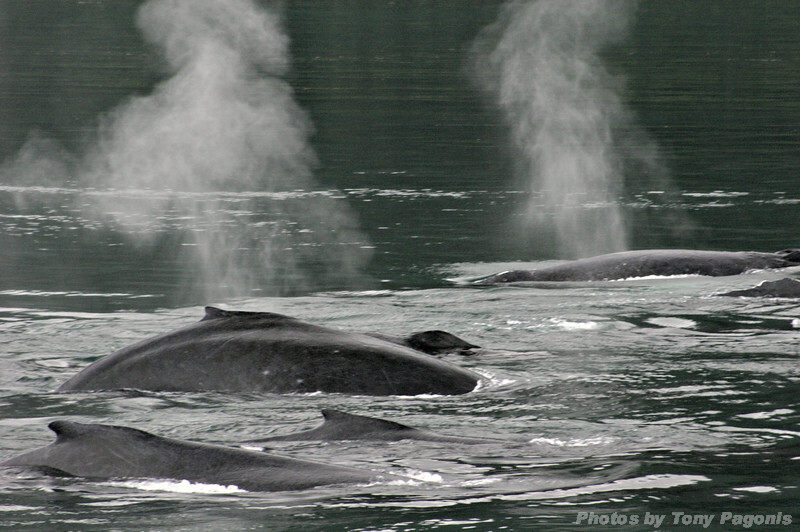 If Icy Straights is one of your stops, its a great place to do a whale watching excursion. The trip was also more educational that a typical Caribbean party boat. Check out some of the lectures that will happen on-board. Did not do the land cruise to Denali, but understand that is very beautiful, too. Hopefully you'll see some Northern Lights. Even though it's in August be sure to bring some warmer clothes and jackets. Shorts and flip-flops won't cut it.